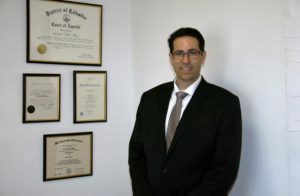 I’ve been an attorney in New Jersey for over 25 years and I am very hands on with all of my clients. I will assist you with your case from start to finish, and I will be your main point of contact. I will answer all of your questions. I will be there for you every step of the way. I also have an excellent staff who will assist in communications, and with certain paperwork or other scheduling matters. If you have any questions or need to consult with an attorney regarding a personal injury, municipal court matter, worker’s compensation matter, or criminal matter, please call me and I will be more than happy to meet with you immediately. In cases of personal injury, it is important to me to make sure you receive the compensation that you deserve for your injuries. It is also important that your case gets filed within the two-year statute of limitation that New Jersey has placed on personal injury lawsuits. If you do not file your claim within two years of the initial date of your accident, you will not be able to bring a case against the person or parties who are liable. It is important that you do bring a case against whoever is responsible because you could be missing out on thousands of dollars in compensation that can assist in paying your medical expenses and lost wages that your injuries caused. In addition, if you are injured and cannot come to my office to initially file your claim, I can come to your home or hospital to ensure that we begin your case as soon as possible.